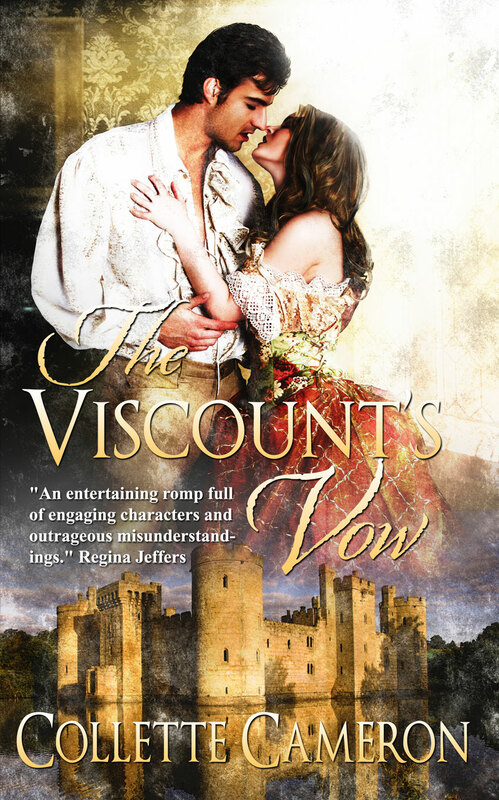 Amidst murder and betrayal, destiny and hearts collide when scandal forces a viscount and a gypsy noblewoman to marry in this Regency romance sprinkled with suspense and humor. Part Romani, part English noblewoman, Evangeline Caruthers is the last woman in England Ian Hamilton, the Viscount Warrick, could ever love—an immoral wanton responsible for his brother’s and father’s deaths. She thinks he’s a foul-tempered blackguard, who after setting out to cause her downfall, finds himself forced to marry her—snared in the trap of his own making. They were alone on the dance floor. Ian deftly twirled Vangie around his aunt’s smallish ballroom, mindful of the interested gazes watching them. Stealing a glance at the smiling and nodding onlookers, he suppressed a frown. He felt like a curiosity on display at Bullock’s Museum. He wished others would take to the floor, so he could dispense with the devoted bridegroom facade. The twelve courses at dinner had been torturous. His wife hadn’t taken more than a dozen bites nor said as many words. He’d tried to eat the succulent foods Aunt Edith had gone to such efforts to have prepared, but his anger made everything dry as chalk and every bit as tasteless. She jumped and a tiny yelp of surprise escaped before she clamped her lips together. Her eyes were shooting sparks again; only this time they were directed at him. He grinned as her breath hissed from between clenched teeth. She stumbled, her fingers digging into his shoulder and hand. A very becoming flush swept across her face. Giving her a gentle squeeze, he started to dip his head, caressing her elegant neck with his hot breath. “Ian, your name is Ian,” she gasped breathlessly, twisting her head away.